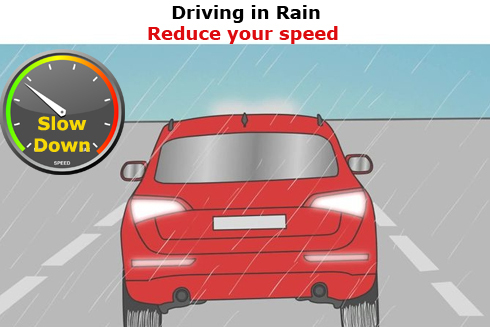 Driving in the rain is difficult and in the night it is even worse. It is difficult to see out of the window and the other car's lights seems to make it worse especially when you begin to hydroplane. 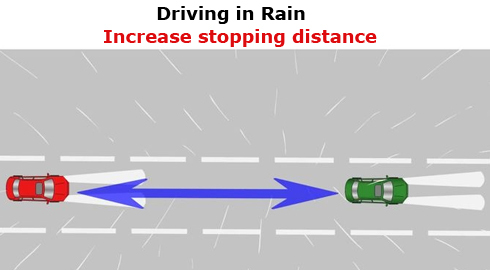 The most important things in rain are speed, stopping distance and visibility. 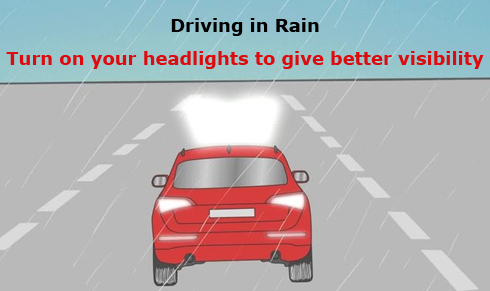 • Turn on your headlights to give better visibility. 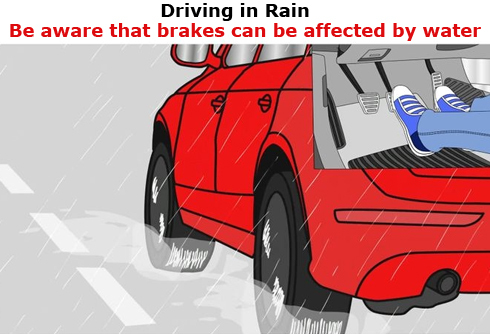 • Be aware that brakes can be affected by water in rain. • Drive in the tracks of a vehicles ahead of you. • Watch out for brake lights in front of you. • Never drive beyond the limits of visibility. 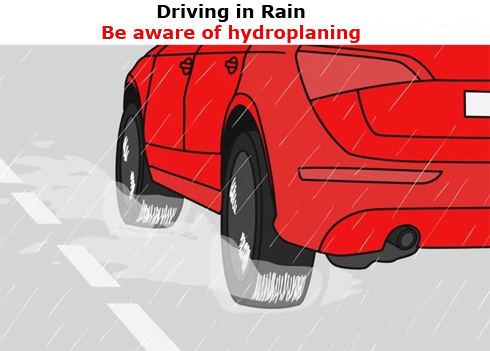 • Be aware of hydroplaning: This is the situation when your vehicle has NO or very little contact with ground. • If possible stay off the road during heavy thunderstorms. • Always stay in touch with weather condition report, radio channel and news bulletin. 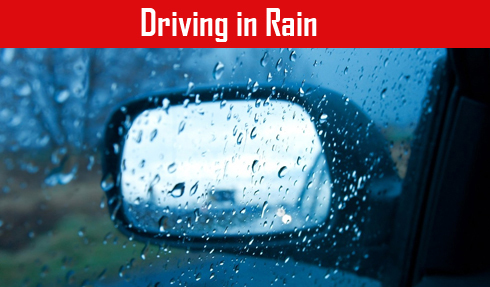 • Use a rain repellent product on side windows and mirrors to clear standing raindrops. • that your vehicle parts and accessories are in working condition. • you have enough fuel in tank. • Stay away from electricity poles. • Stay away from accumulated water. • Dont touch wet electrical switches. • Do not tie motorcycles or bicycles to electricity poles.